A tiny book packed full of a woman’s journey to self-acceptance. Where do I even begin with this book? Susan Conley managed to put so much into this tiny book. The beginnings of the decline of a marriage and the mending of it. The musings of an abusive relationship turned to an escape to America. The loss of creativity due to the responsibility of parenthood. The grief of losing a childhood. The inklings of an alcohol addiction solved by a week at a mountain resort in China. 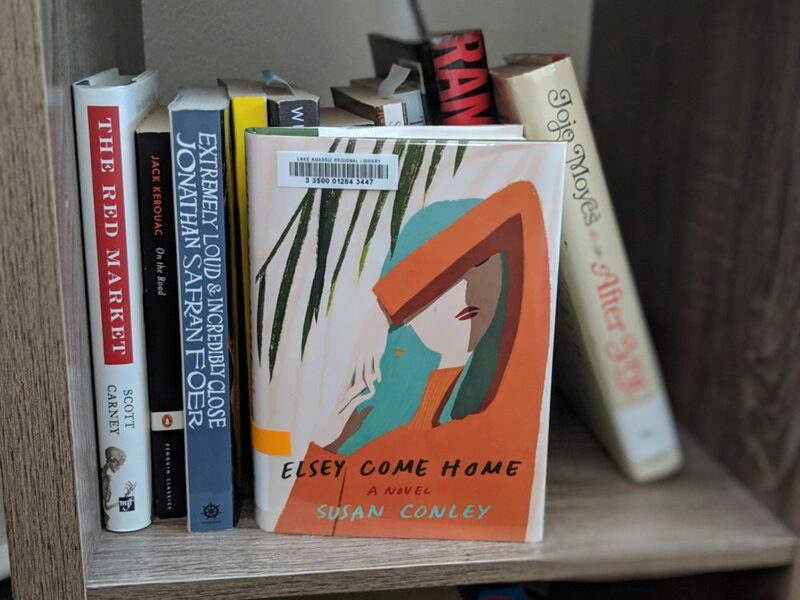 Elsey is an artist turned estranged mother who is fighting between her love for her work and her children, as well as healing from a surgery done to her thyroid. She is torn by who she is to her husband, her children, her friends and her family. When her husband Lukas urges her to a yoga retreat in the mountains, she is leery, but deep down she knows that the retreat is the only way to save her marriage and keep her children in her life. Elsey is many things, but a yoga-and-share-your-feelings-with-strangers type of person is not one of them. During the retreat, she longs for the taste of alcohol, but her love for her children wins over her love for the bottle. Through her inner monologue, it’s not mentioned, but she slowly finds herself accepting the role of who she is when she is reduced to silence at the mountain retreat. The silence allows her to really think about her life and how she got to where she is — a starving artist with an addiction to alcohol. While reading the book, I struggled to understand exactly what the book was aiming for. It wasn’t until the end that I understood that it was a journey toward self-acceptance and self-realization for Elsey. “Elsey come home,” reads the sign her husband will hold while he awaits his wife’s arrival at the airport with their children. But Elsey coming home is really Elsey coming back to herself. Multiple times, she mentions being “far away” from her husband and needing to find him again. Though her role in their home is awkward at first, she eventually finds balance between all of her roles as an artist, a mother, a wife and a sister. Next Next post: Is Dunbar Done-bar?